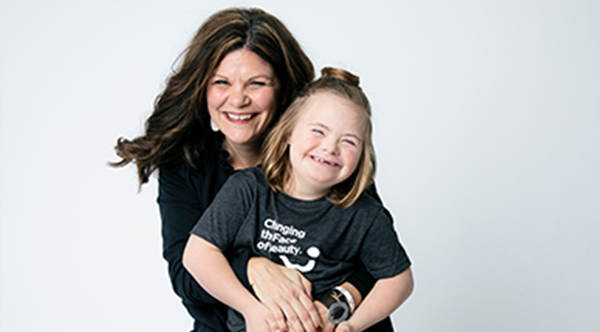 Changing the Face of Beauty is recruiting heroic businesses to become the VERY FIRST CTFOB Community Influencers — who can help empower thousands of individuals with all disabilities nationwide to prepare for work! Become a CTFOB Influencer in Your Community! CTFOB Community Influencers benefit individuals with disabilities and their families, the businesses who participate in the campaign, as well as the continued advocacy of the Changing the Face of Beauty organization. It truly is a win-win-win scenario. People with Disabilities and Their Families benefit from professional photo shoots, media training, new JOBS, income, increased self-confidence, sustained acceptance in their communities, and more! Partner and Influencer Businesses impact people with disabilities while enhancing brand visibility/positioning, reputation/loyalty; and increased revenues from a community with $200 BILLION in discretionary spending. 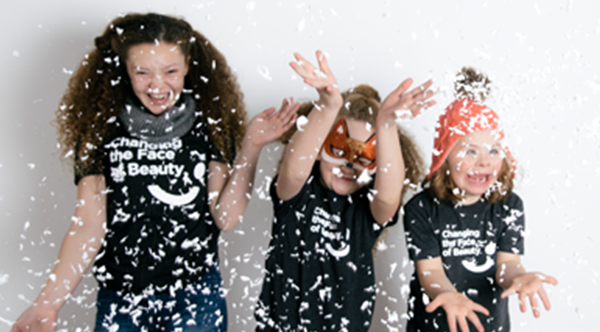 Changing the Face of Beauty advances its mission of creating more awareness, opportunities, and representation for people with disabilities in advertising, media, and beyond! What is a CTFOB Community Influencer? A business of any size or industry who visually acknowledges their support of the disability community and the vital mission of Changing the Face of Beauty (CTFOB): to increase representation and participation of people with all disabilities in national advertising and media. 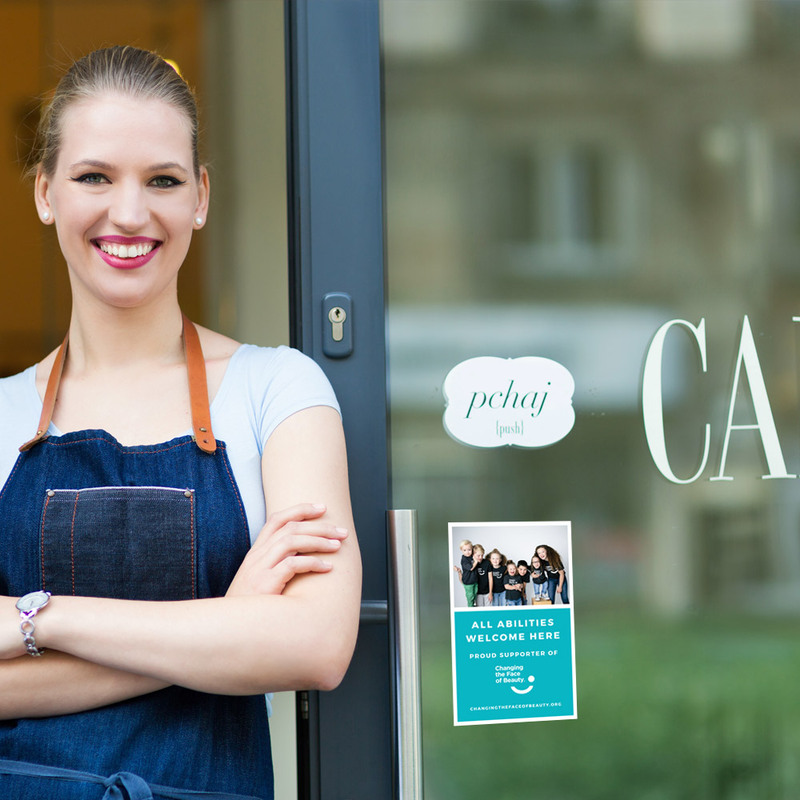 How will people know a business joined the campaign? Every business will receive via mail a small, 5” X 8” window cling to proudly display in the door or window of their business. They will also receive a virtual cling (JPEG) to use on their websites and social media pages. What are the CTFOB Community Influencer donation levels? How you can make the most out of being a CTFOB Community Influencer? Each Influencer 2018 business can promote their commitment to the campaign through local and national media outreach, as well as, their social media pages and website. Most importantly: use your commitment to the campaign to spark NEW CONVERSATIONS AND NEW INSPIRATION with your customers & employees. Taking time to recognize and celebrate the many values of the disability community can lead to greater happiness, new jobs, new relationships, new revenues, and a more accepting world for all. John Francis Mahoney Law, Ltd.